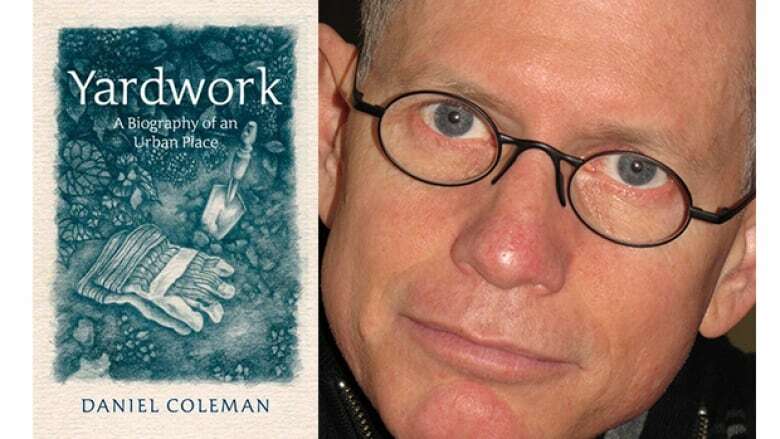 Hamilton author Daniel Coleman was shortlisted for his book, Yardwork: A Biography of an Urban Place. On Monday, the prize was awarded to author of Seven Fallen Feathers, Tanya Talaga. It may not be sensational or based on a dramatic event, but Daniel Coleman's Yardwork: A Biography of an Urban Place has captured the Canadian reader and garnered a spot on the RBC Taylor Prize for literary non-fiction short list. The Hamilton author was looking to understand his home better and find a sense of belonging after living an uprooted life. Looking at his backyard for inspiration, he wanted to know if he could learn from the land itself, exploring the Niagara Escarpment and the historical treasure trove in a family cemetery behind his house. The winner Monday was Seven Fallen Feathers author Tanya Talaga — one of the five authors to make the prestigious list. The prize pays homage to renowned thinker and philosopher Charles Taylor's pursuit of excellence in the ﬁeld of literary non-fiction. According to the award's website, the prize is awarded to the author whose book best combines a "superb command of the English language, an elegance of style, and subtlety of thought and perception." Coleman said he was thrilled to be nominated because his book is about a very quiet thing: a backyard and discovering home. "This book is on such a quiet, meditative topic," he said. "It's meant to be something that you think with and live your life with, and so I think it stands out in that sense." "When you start paying attention to nature or ecology, it can overwhelm you. It's so densely interconnected and complex. So I thought, well, why don't I just start with my backyard? I can see it everyday, watch it through all of the seasons and expand from there." Coleman says a lot of us were taught in settler colonial culture to distrust the land we live on. His book is about building trust from the ground up, in a very literal sense and in the middle of Hamilton. Coleman is a professor of English and Cultural Studies at McMaster University. When he first started working there, he says he met people from Six Nations, which in turn helped shape the book. There's a lot in Indigenous thinking that's about listening to and attending to the land, he said. When Coleman moved to Hamilton 20 years ago, he wanted to understand how belonging could be found in a place that's been so abused with pollution, and where nature had been disregarded. Hamilton has a well-known mix of post-industrial rusty city, he said, and escarpment land curling around of the lake. "I found that kind of juxtaposition really powerful and fascinating. So I thought, well, can I learn to listen to and come to love the landscape in which I live." Angie Abdou is a professor of creative writing at Athabasca University. She reviewed Coleman's book for the website Hamilton Review of Books. "The way Coleman advocates to pay attention to the details of a particular place requires a slowing down, rather than breezing over the surface of things," Abdou told CBC News. "That's what I responded to as a reader — the book as antidote to a distracted life and as an antidote to an existence that is too fast-paced resulting in superficial engagement with real-world surroundings." Coleman was raised by Canadian parents who worked as missionaries in Ethiopia. He attended numerous schools growing up. Coleman says his parents often referred to Canada as home, but he couldn't relate because he'd never lived there himself. Now after two decades in Hamilton, Coleman feels a deep connection to a city he never expected. "I feel way more connected to Hamilton and blessed by the gift, a complex gift of the place," said Coleman. "It's like you get to know the layers of the stories of the place it's kind of like getting to know your ancestry." Abdou says she liked the book, but kept wondering why because she could care less about Hamilton. "No offence to Hamiltonians, but I'm a far ways from Hamilton and it was so specifically about Hamilton, so I kept wondering what it was that was speaking to me about it," she said. "I think it is, he is looking for a home because he had been uprooted so much of his life, and he landed in Hamilton because of work circumstances, so he was trying to ground himself there. But it made me think of how ungrounded we all are with our cyber lives." Coleman wants people to get a couple of things out of his book based on what he feels are two serious problems facing Canadians. First, he wants people to have a restored relationship or trust in the landscape, encouraging readers to think about the impact on the environment. "Hamilton has a lot to teach all of us because there have been changes made to what's being dumped in the water system, and what's being poured into the air, and it's making a difference. You can see the difference. You can smell the difference in Hamilton." The second theme is to building a new relationship with Indigenous people so Canadians can live at peace and in reciprocity. "Canadians are facing a national problem on how to re-build, or to build, a decent relationship with Indigenous people. So the book is aimed at both of those." While getting to know his land, Coleman learned about the historically dense property that he lives on – and more specifically, the Binkley Cemetery on Lakelet Drive in Hamilton. That land originally belonged to an Anglican Mohawk member of the British army, Coleman said. He granted the chunk of land for his services during the American Revolutionary War. When he died, his daughters sold it to the Binkleys. The Binkleys came to Hamilton from Pennsylvania just after the revolutionary war as part of the wave of migration. That's when the British were establishing jurisdiction and Six Nations were settling in at Grand River. "So the land I'm living on has got this remarkable history of passing through both Mohawk and German rather than British loyalists, and into what became that part of Hamilton." Coleman has authored five books and co-edited 10 books.